Spring is almost upon us, but before we begin hanging up our winter coats, let us take a look back to the 2017 Presidential Inauguration. A few days before the Presidential Inauguration, which was on January 20th, Washington D.C. had a brief ransomware infection. This infection affected systems which were networked with some of the surveillance cameras which monitored several streets along the inaugural parade route. The ransomware was reportedly removed before the inauguration, but that’s not the moral of the story. The moral of the story is that even Washington D.C. government employees and systems are perfectly capable of picking up malware, which means that everyone has to be on the lookout for this malware. Removing ransomware is a very pesky process, and as is the case with many other things, “A teaspoon of prevention is better than a cup of cure”. The best way to prevent getting ransomware is to know how it is distributed. Here are three main methods cyber criminals use to deliver ransomware. If you have your email address tied down to a handful of websites, there’s a good chance that you probably have to clear out your emails on a daily basis. You may think that most of the things you’re clearing out are harmless, but that is a terrible way of thinking when dealing with cyber security. If you want to protect your computer and personal information, you have to think in a manner that is the complete opposite of the mindset of a judge. You should think, “guilty until proven innocent”, when inspecting your emails because the people who send malware in emails are not innocent, they know what they are doing and they want your money and information. When going through your emails, always consider the sender and their motives for sending before reading through anything. If you see any links or attachments in an out of place email, be doubly suspicious before downloading or clicking on any of the email’s contents. 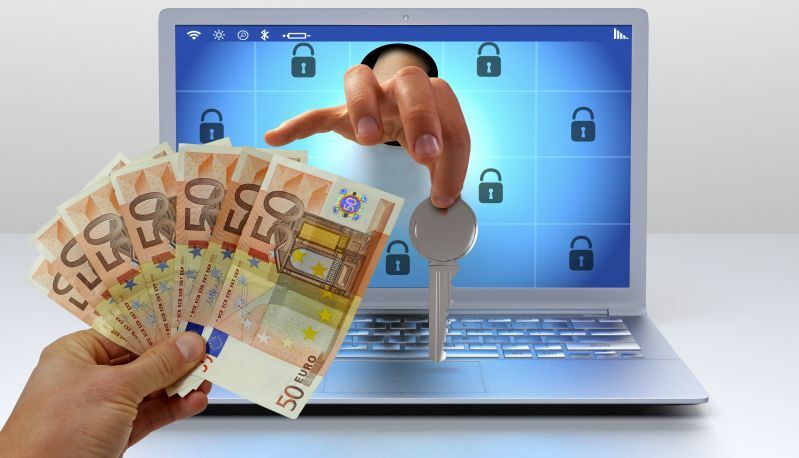 If you get redirected to a website or download a suspicious file, you are probably going to have to start dealing with ransomware or other malware in your immediate future. If you suspect your system has been infected with either malware or ransomware, you can always get help by scheduling a PC tune-up. While false advertising is a common and sometimes even accepted occurrence in television advertisements, fake advertisements are a legitimate form of evil. Fake advertisements do not represent a true product. The phrase, “Red bull gives you wings”, was created with a singular purpose: to help better sell a product. In a fashion similar to false advertisements, fake advertisements are created with a singular vision: to gain attention and lure in the unsuspecting. If you are an avid reader of internet articles, you may have seen a few fake advertisements, but as long as you don’t click on these ads and get redirected to a malicious site or start a malicious download, you should be fine. However, if you encounter fake advertisements frequently, you may already have malware on your computer. Although google is sometimes capable of detecting malicious websites, such as in the image shown below, you may still accidentally stumble upon a malicious website. Email links and fake advertisements can both lead to malicious websites. Once on a malicious website, the site will either automatically start a malware download or you will have to click something to start the download. If you ever have to download something off the internet, make sure you are downloading files from the correct sources, or you may end up getting ransomware. Now that you know the three main methods of ransomware transmission, hopefully you can better avoid receiving ransomware and malware. If you live in the Southwest ohio region and you suspect you have malware or ransomware, you can always bring in your computer for a PC repair to get it fixed and running at full strength again.